This approach recently led Wanner to cofound a makerspace at Macomb with Professor Martin Kohl. “It’s a space where students can dream big, make stuff, play, create, design and have fun,” says Wanner, “without worrying about making mistakes or failing.” She believes that it is through failure that students learn best. 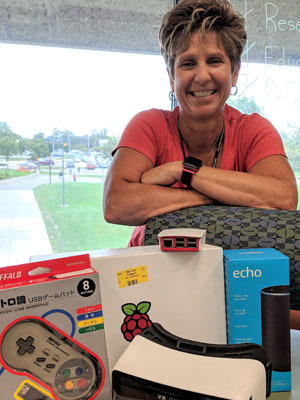 The makerspace provides students with access to all sorts of gadgets, including a Raspberry Pi, a 3D printer, virtual reality goggles and littleBits electronic building blocks. She hopes this community environment will instill confidence in students and possibly inspire the next generation of technological innovators.